Hello, everyone, I'm Terrell. About this Illustration contest, I chose the title of nature because I like nature very much. So I looked for a lot of information worth our attention. 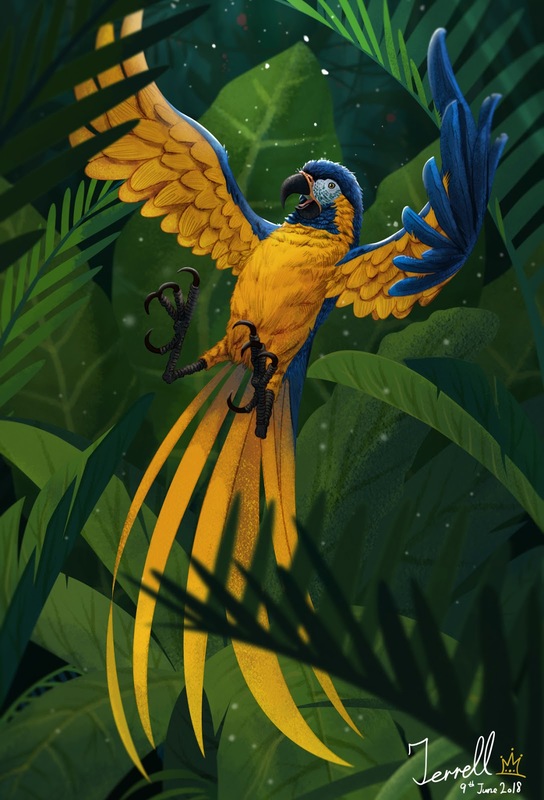 I found a blue-throated macaw to do my creative inspiration, -Reference informations from wiki, Blue-throated Macaw (scientific name: Ara glaucogularis, formerly Ara caninde) is a unique species that inhabits a small area called Los Llanos de Moxos in eastern Bolivia. Between 2005 and 2005, the Bluethroat Macaw believed to have only less than 200 remaining. The main reason for their disappearance was the illegal piracy of local and international bird trade. In addition, pasture development has cut down the blue-throated macaws. The zoo is carrying out many artificial breeding and conservation programs to save.